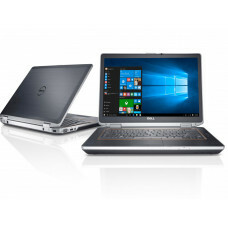 The Dell Latitude E6420 is a business-class laptop that inchorporates performance, durability, security and convenient manageability required by the new mobile business class. It's fitted with powerful yet power-efficient Intel Core processor and abundant amount of memory to keep you productive. To withstand everyday bumps and rigors, this model is stylishly armored top to bottom with hard-wearing and MIL-STD 810G tested Tri-Metal casing, powder-coated base and spill-resistant keyboard. You'll also appreciate its robust security features that safeguard your business critical data and files. Pack the Latitude E6420 into your bag and you're ready for whatever your work might dish out. Get protection from extreme temperatures, vibration, dust and high altitudes with MIL-STD 810G tested laptops. 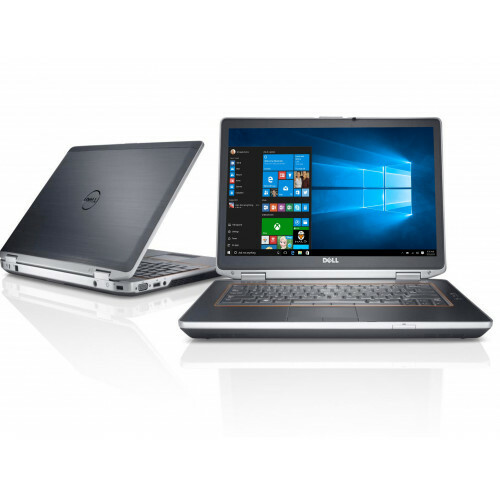 Look sharp while working hard, thanks to the Dell Tri-Metal™ design with a hard-wearing anodized brushed aluminum LCD finish and reinforced magnesium alloy wrapped corners. Appreciate the fine details, from strong steel hinges and z inch alloy display latch to the durable powder-coated underside that helps guard against nicks and scratches. Get long-lasting power and performance to make your job easier, whether you are in the office or on the road. Latitude E-Family laptops are built keeping your business in mind, offering great features to help inchrease productivity. Work in your comfort zone with a responsive keyboard and 180-degree LCD movement. Enjoy seamless integration into your IT environment and rest easy knowing that Latitude E-Family laptops - and your company data - are secure and protected anywhere in the world. Know your data is secure with Dell's Data Protection Encryption and encrypted hard drive options. Protect your data from the unexpected mishaps with Dell Fast Response Free-Fall Sensor and StrikeZone. Control who has access to your data with Dell ControlVault, Dell Data Protection Access, contactless smart card and fingerprint reader login access options.